Three views of interaction with the world. The brothers felt that man should hallow his own four cubits of activity. the attempted murder of Joseph and his disappearance for 22 years. For the last two years, I've had the privilege to write on this website about Chanukah, parshat Vayeishev and the number three. It is interesting to view Yaakov's shalvah and Chanukah through the eyes of the rebbes of Lubavitch - the fifth (the Rebbe Rashab) and the seventh (the most recent Rebbe, Rabbi Menachem Mendel Schneersohn) - and those of Rabbi Matis Weinberg, because all see this issue in terms of "threes." In his synopsis of the sichot of the seventh Lubavitcher Rebbe, Rabbi Friedman says that the argument of Yosef and his brothers centers about three views of interaction with the world. In all opinions, the goal of living in this world is holiness. The brothers felt that man should hallow his own four cubits of activity and leave it at that; these reclusive shepherds shunned anything more than minimal interaction with the unholy outside world, which they viewed as fraught with dangers. Eisav, Lavan, Shechem, etc. were all proofs, to them, of the correctness of their view. Yosef's very name means "increase," not only in the material realm (he became the viceroy of Egypt, breadbasket to a starving world), but also in the spiritual: Yosef went out to the unholy to make it holy. Certainly, this entails spiritual dangers, and this is one of the main reasons for the brothers' antagonism. But with the birth of Peretz, son of Yehudah, the oro shel Moshiach, the "light of Moshiach" (Breishit Rabba 85:2), a new, third mode of Divine service is introduced: "paratzta alecha paretz," - "you burst forth and burst forth again" (Breishit 38:29). Peretz, ancestor of King David and Melech HaMoshiach, follows up the work of Yosef by bringing about a qualitative increase in holiness. His service is to activate this light of Moshiach, which brings not just the presence of the Shechinah and other Divine attributes into that which is holy, but brings more, the Essence of God, the Ohr Ein Sof, the Divine Light itself, into this world. This Light, is, of course, the lights of Chanukah. And also the shalvah, the tranquility of Yaakov Avinu. The Rebbe Rashab, in his discourse on Chanukah (Tanu Rabbana: Ner Chanukah, in the year 5643), says that there are two modes of Divine service: war and peace. The first corresponds to: "The Almighty is a Man of War" (Shmot 15:3). Here, the beinoni (average person) has to make war with evil, with his evil inclination. But the tzaddik, the righteous person, has beaten his yetzer hara, and in his type of Divine service, evil simply nullifies itself. This is what the Talmud meant by saying that in the World to Come, the work of the Jews will be done by others; it refers only to spiritual work and it means that evil will transform itself, of its own will, to good. This, the Rebbe illustrates by the reign of King Solomon, who ruled over the world without waging war, but simply by the force of his overwhelming goodness and wisdom. His name, Shlomo, refers to this type of Divine service: wholeness, repose, rest. There are two modes of Divine service: war and peace. Hasmonean war, the light of the Chanukah miracle was of the same nature, reflecting repose and relationship with the Ohr Ein Sof. This is the tranquility Yaakov longed for, and which he didn't get. He didn't get it because of the troubles of Yosef, the sibling rivalry. Of note is the Chatam Sofer on the gid hanashe: Yaakov had gone back to the east side of the Jordan River in order to pick up some small vessels (pachim k'tanim) that he had left there (Rashi on the Chumash;Talmud Chulin 91a). The Chatam Sofer has a version reading pach, a single vessel; so, apparently, does the midrash (noted by Rabbi A. P. Rosenwasser, who sees the "vessel of oil" of the Chanukah miracle as a reward for Yaakov's guarding this pach; Pardess Chanukah, p. 149). The Chatam Sofer comments that the Gematria of emet ("truth," the attribute of Yaakov) plus that of pach equals that of Yisrael (441 + 100 = 541). Yaakov went back for this vessel and was thereby reaching into the Yosef realm of bringing holiness into the unholy (since another reference to pach is in the Mishna, Negaim 12:5, where pach refers to a tamei, "impure," vessel; notably, Rabbi Meir makes an argument from guarding the purity of these vessels to guarding one's children) and beyond, to the higher service of Yisrael. Although the Angel of Evil tried to thwart Yaakov's Divine service, he didn't succeed. All he managed to do was to pervert (in typical Eisav fashion) pach into kaph (the "hip" of gid hanashe). But Yaakov survived intact, because the Gematria of the two words is the same, 100, and the sum was still 541 - he was still blessed as Yisrael. However, Yaakov's children, his yotzei yerech, were injured along with his hip (yerech). Rabbi Weinberg sees this gid hanashe incident, and resultant Yosef-Yehudah rivalry, as one of the three Midrashic themes of Chanukah. The other two: the tree of Good and Evil in the Garden of Eden; and the Jew-non-Jew historical battle (also seen in the gid hanashe-battle with the angel of Eisav). The latter directly relates to the Churban, and certainly to the name Yisrael; it is Yaakov's failure to be Yisrael in his subsequent meeting with Eisav that leads to all of our history of exile. The tikkun (remedy) of Tisha B'Av and its lack of will to be Yisrael is Chanukah, with its Chashmonai spirit of battling the spiritual and military battle no matter what the odds or possible consequences. And the first theme, from Eden, is linked to Chanukah by the Midrash (Zuta, on Breishit 3:9; see Frameworks: Chanukah, pp. 97-98): God asked Adam, "Ayeka?" ("Where are you?") The Gematria of ayeka is 36, for the tikkun of the sin of the Tree is Chanukah and its 36 candles. Adam had a schism, not knowing down what path to take the life he was about to live, and God asked him for his decision. How Adam was going to define himself vis a vis his Creator, and thereby achieve Self, was the issue. And not incidentally, choice hinged on a tree that was "desirous to the eye." For on that issue hinged the personality of outgoing, beautiful Yosef and his chein; on that issue hinged the hate of his brothers. And that issue, chein, made Yosef the antidote to Eisav. Thus, the three Midrashic sources for Chanukah (sibling rivalry; sin of the Tree of Knowledge; our relationship with non-Jews) merge into one: chein. Which is the root word of Chanukah. The brothers refused to believe that a nation could be based on relationship, vision, beauty and spontaneity. Yehudah's argument, "ma betza?" (B'reishit 37,26) pretty much summed up his attitude toward "relationship." Rabbi Weinberg comments that the Shechem incident summed up their attitude regarding mingling with non-Jews. Yosef felt that he had been prophetically promised by God (in his dreams) that he would be provider, king and firstborn; so it mattered not if he ended up in a pit or jail, he and his chein would, in the last act, be on top. The brothers, however, were not only jealous, but felt that they had on their hands the dangerous ancestor of King Yeravam (who would set up an idolatry based on beauty) and of Hellenists, who would similarly reject God and Torah in favor of Western philosophy and arts. Are we to be a nation like all others, or the "kingdom of priests, a holy nation"? 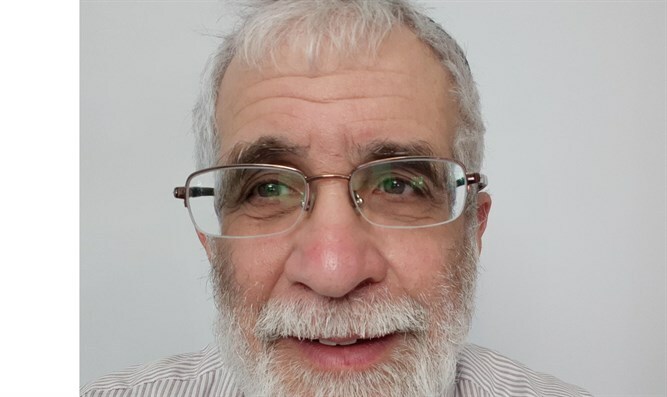 Aviv, Rabbi Weinberg sees the old battle of Yosef and his brothers: Are we to be a nation like all others, or the "kingdom of priests, a holy nation"? How much are we to assimilate from the outside world, and how much are we to hold onto ancient traditions, including that of isolationism? Can Jewish chein, visions of a messianic light to the nations and dreams of Temple and King, actually be realized in the modern world? Are Jewish brains, with a knack for making a profit and a silicon chip, along with bagels and lox, enough to keep us together as a nation? As a they are obviously not, what is the magic formula? Both sides feel they have answers, although time has a way of deciding who is right. But in the end of the Yosef story, he did provide for the family; despite the brothers' fears, the powerful viceroy of Egypt took no revenge on them. It may take a Moshiach to decide the level of guilt of those who threw the people of Gush Katif into the pit, and of those who provided terrorists with guns and opportunity to kill (I can see more guilt in our modern brothers, than those who attempted to murder Yosef), but in the finale of our modern Chanukah story, the Haftorah reads: "And you, son of man, take one stick and write on it 'for Yehuda and all his fellow Israelites.' And take one stick and write on it 'for Yosef and all his fellow Israelites. And bring these sticks together, one to the other, and they shall become one in your hand." (Ezekiel 37:15-17, Haftorah of parshat Vayigash).